• The flat surface on one side of the EGLA-TWIN creates a reflection across the full plane. • Higher open area and therefore more tranparent version of EGLA-TWIN. special optical effects created by the Twin wires running perpendicular to the long slot of the opening. 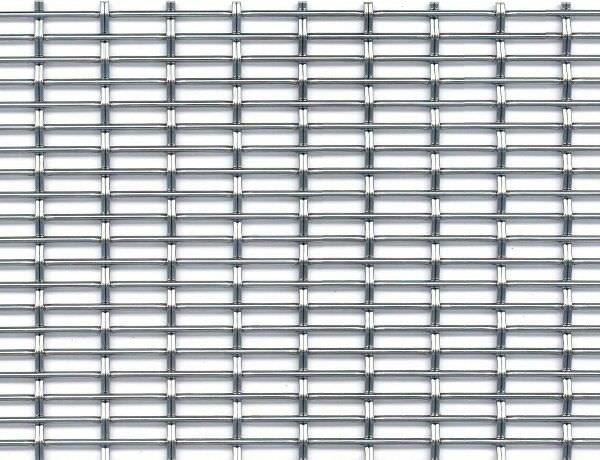 • In the direction of the thinner twin wires the mesh is relatively flexible and can be easily adjusted to certain radii. Ceiling construction with chessboard design with architectural wire mesh. 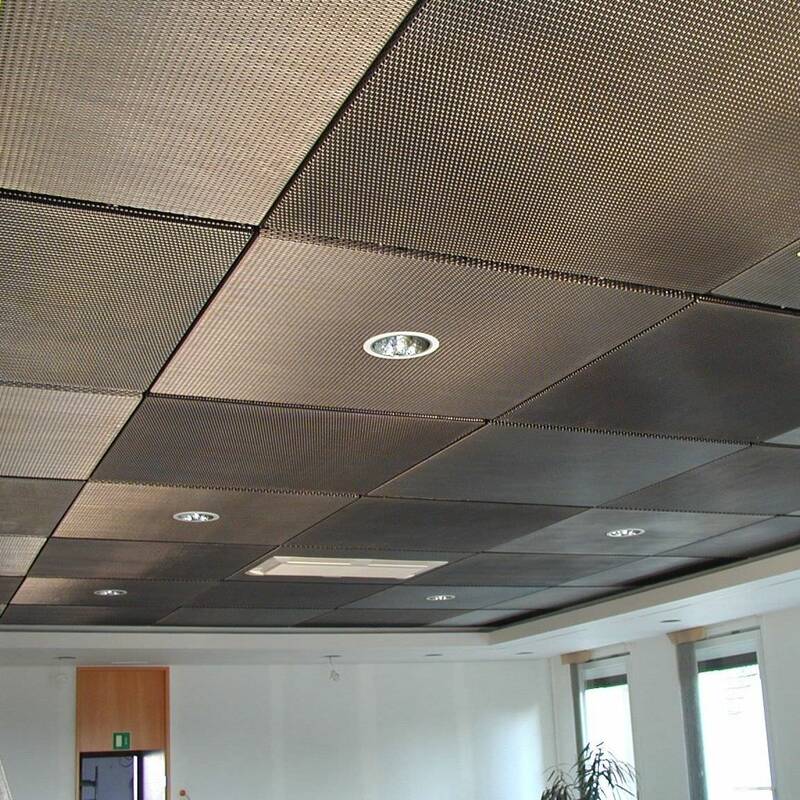 Architectural Mesh EGLA-TWIN 4243 tensioned onto frames and suspended in the ceiling construction, creates an exciting chessboard design, if the slotted openings are laid at 90 degree angles to each other.